During my matriculation here at my beloved university, I have been involved in multiple leadership positions, and organizations. My freshman year of college, I became Miss Freshmen 2015�2016. This moment presented a lot of opportunities, ideas, and confidence that moved me to join everything that would contribute to my growth and thoroughly enjoy. I then became a student orientation leader, got accepted into the honors college, due to my academic success, continued my reign into Miss Sophomore 2016-2017, which led to me creating my reading program Star-Lits Literature, and then becoming Miss Black and Gold 2017-2018, and now my leading position that I�ve been so patiently waiting on, becoming Thee 81ST Miss South Carolina State University by the grace and favor of God. The overall goal is to become well rounded and knowledgeable in almost every part of the fashion industry. As a millennial with an eye for detail, and an extensive creative mind, I plan to become an entrepreneur and create multiple brick and mortar businesses in both the fashion and business field. 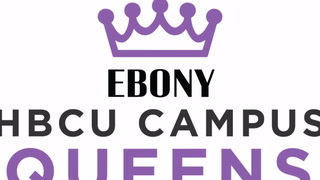 My most memorable contribution as a Campus Queen, consists of my Women empowerment movement The P.O.W which stands for The Power of Women helping inspire young ladies to see their worth, build a powerhouse, and dominate the world, by teaching self-love, influencing confidence, and creating goals. I stand firmly by my quote "Know your worth, find your strengths, and uplift the ones around you." I genuinely believe that my movement will help females to see how powerful they are as individuals, and especially when they collaborate.